Carpet Cleanings Melbourne is one of the best and most prefered companies by the native and homeowners when it comes to carpet cleaning. 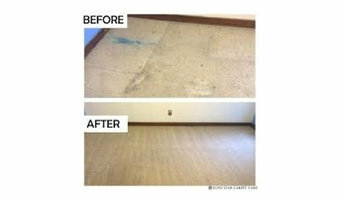 With the regular foot traffic and wear and tear, you carpets tend to get dirty and accumulate a lot of dirt and stains. These conditions lead to a number of health problems while reducing the life of your floor coverings. 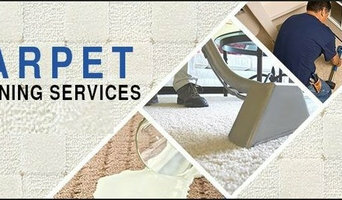 The services we offer for carpet cleaning Melbourne are known for cleaning your carpets thoroughly. Some of the most prefered services we offer include carpet steam cleaning, carpet dry cleaning, carpet stain removal, carpet mould removal and more. Every now and then your upholstery requires a thorough clean, but vacuuming alone does not do the job to 100%. Your sofa or reclining chair intakes dust, bacteria, body fat, dust mites and those nasty spills over the years. Left untreated they damage the material fibers resulting in permanent damage, which is why it is important to have a qualified to do the job. Throughout several years of providing upholstery cleaning Melbourne service, there has been a lot of moments where many customers have just threw out their old sofa or chair and then bought a new. It’s true that regular weekly maintenance will keep your upholstery lifespan a bit longer. However, it is also true that household vacuum cleaners do not have the power to dislodge the dirt, dust, pollen, dust mites and other allergens that have been lodged in your upholstery. The only sure way to get rid of those pesky small visitors is by carrying out a professional steam clean. So are you sick and tired of looking at your couches that obviously show they have had better days? The reclining chair with obvious coffee stains, wine spills, shoe marks and blobs of dirt? Particularly during this economy not everyone is able to just throw out their old sofa or chair and then purchase a new one on a whim. So if you are looking for sofa upholstery cleaning, curtain cleaning, duct cleaning mattress cleaning or a reclining chair cleaning, look no further we can provide you with the best quality steam cleaning available in Melbourne. Sure we could spend hours telling you how great our service is but we believe that results speak for themselves. This is why it is recommended by the manufacturers to have your rug cleaned professionally using the steam method. If you are in search for a rug cleaning Melbourne service, than give us a call. We provide a same day quote, on time service and professional cleaning results like no other! 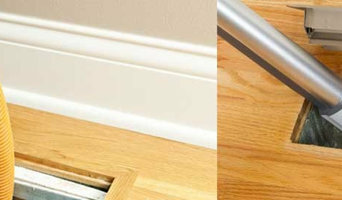 Deluxe Duct Cleaning is all about cleaning ducts but we have a range of services that we present. One such service offered by us is dryer vent cleaning in Melbourne. There are various kinds of dryer vents and they all need to be cleaned from time to time. You may not know who to call for a quality Melbourne dryer duct cleaning service but if you have found us, we can prove to you that we are the one that you should get in touch with since we are the best and our services are of the highest quality. When you call us to do the job, you can be secure that we will do it to the best of our abilities and we will do it in such a way so that you will not require the services of any other dryer duct cleaner in Melbourne. Cleaning dryer vents or ducts is an easy process. No matter how it is done, the main thing required is a lot of pressure so that all kind of dirt, debris, dust and lint comes loose. The main idea is to get everything that is not needed out of the dryer vent so that it can function to its full capacity. When you look to us for Melbourne dryer duct cleaning, you can rely on Deluxe Duct Cleaning and know that no damage will be caused to your dryer vents in the process. We take extremely good care while we clean out dryer vents and we are careful and alert. Marks Carpet Cleaning Melbourne provides professional carpet steam cleaning services across Melbourne from last 15 years. Please call on 0421830164 to get FREE carpet cleaning quote!!! Mark’s Carpet Cleaning Melbourne available 24 X 7 in emergency carpet cleaning to clean filthy carpets and to get rid of harmful nastier breeding inside the layers of your carpets. At Mark’s Carpet Cleaning Melbourne we uses carpet hot water extraction method for carpet steam cleaning; this process will kills all the harmful bacteria, mold, fungi, dust mites etc from your carpet. Toms Upholstery Cleaning Melbourne provides complete steam cleaning services that make deep cleaning of your soft sofas, couches & armchairs. Our upholstery cleaning specialists use upholstery cleaning chemicals and machines to ensure there are no germs and dust mites residing in your upholstery. Skip bin hire or rubbish removal in Melbourne with A1 Cheapest Rubbish Removals. For all your waste management and recycling needs. A Melbourne, Australia based the most reliable and best priced Skip Bin Hire Provider. Hiring out Skip Bins around Melbourne suburbs in the following sizes: 2m3, 3m3, 4m3, 6m3, 8m3, 10m3, 12m3, 21m3, 24m3 and 31m3 bins. All Skip bins from 3m3 and up have walk-in door. My Home Improvement is the place where you can get reach your targeted customers without having to pay for it. My Home Improvement is the most preferred business directory in Australia, where the customers meet their requirements relating to their home improvement. From cleaning to plumbing to automation, the customers can find anything here. As an Australian local business directory, we have helped and are still helping businesses to meet their goals by meeting their targeted and prospective audience. Hence, if you are looking for a free business listing site, this place is your true destination. Spotless Tile and Grout Cleaning Melbourne specialized in tile cleaning, bathroom tile cleaning, shower tile and grout cleaning, grout cleaning, tile Resurfacing,tile stripping, tile sealing, tile regrouting, tile restoration, tile polishing, bathroom tile cleaning, tile restoration, indoor tiles, outdoor tiles, hard surfaces and so forth. We provide commercial & domestic tile grout cleaning services. When you neglect cleaning your tile and grout for a longer period of time it will become harder to clean. Dirt and toxin build up eventually, making your tile look terrible and causing the grout to darken and dirty. Ordinary house cleaning methods just can’t get the built-up, ground-in dirt that has matured in hard to reach area of your flooring in kitchen, bathroom, living room, and even on patios. Dirt trapped in the pores of tile and grout is difficult to remove with traditional cleaning solutions. Our tile and grout cleaners are available same day 24 X 7 tile and grout cleaning service. Would you like to attain a new look for your hard flooring tile and grout? Call now 1800 052 336 to talk about your requirements and receive a free quote. Welcome to Fresh Blinds Melbourne – a place where you can expect to get the finest quality of blinds. We deal in supply and installation of all kinds of blinds for domestic as well as commercial clients. No matter what size, shape, or design your window and door is we can manufacture custom make blinds for a perfect fit. Come and explore a rich variety of blinds through our website. Our premium range is sure to surprise you. Residential cleaners in Richmond, Victoria can provide routine cleaning, deep cleaning and end of lease cleaning. A routine service typically includes general tidying up, wiping down surfaces, dusting, sweeping, mopping, vacuuming, window cleaning and toilet cleaning. Microwave and oven cleaning, laundry and the cleaning of outdoor areas are usually additional extras. You may not have the time in between packing up and moving house, but a housekeeping professional can also provide end of lease cleaning, which typically includes everything from carpet cleaning to oven cleaning. Find companies in Richmond, Victoria that provide skip bin hire, cleaning or rubbish removal services on Houzz. Scroll through this page to find a domestic cleaner, rubbish removalist or furniture removalist in your area. Just enter your suburb at the top of this page to narrow your search. Get contact information or message professionals directly so you can ask about rates, and read customer reviews.